Article written by Wesley Reineke for Bike Exif about CRD54 Cafe Racer. Custom motorcycles often get accused of looking good, but not riding worth a damn. 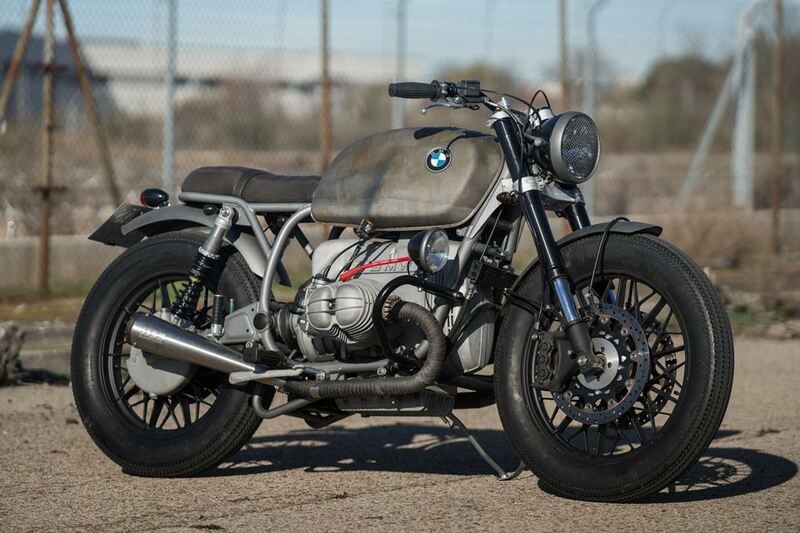 So it’s great when a builder devotes as much attention to a bike’s performance as its looks. It’s easy to get caught up in details like the deliberately rusty fuel tank—and miss the BMW’s significantly improved suspension. Up front, CRD’s grafted on the forks and brakes from a Yamaha R1. And the rear’s equally well sprung, thanks to a new set of Öhlins shocks. The engine’s been rebuilt, and now breathes through a pair of Italian-made Dell’Orto carbs. A further boost in performance (and sound) is provided by dual SuperTrapp silencers. Anyone who’s ever owned (or worked on) an old Airhead knows that the stock electrical system is a mess. So Cafe Racer Dreams have ripped everything out and rewired it around a Motogadget m-Unit. The speedo and handlebar controls are Motogadget parts too, and there’s a Harley-Davidson Sportster battery hiding under the swingarm. CRD54 Cafe Racer should also weigh a little less now. 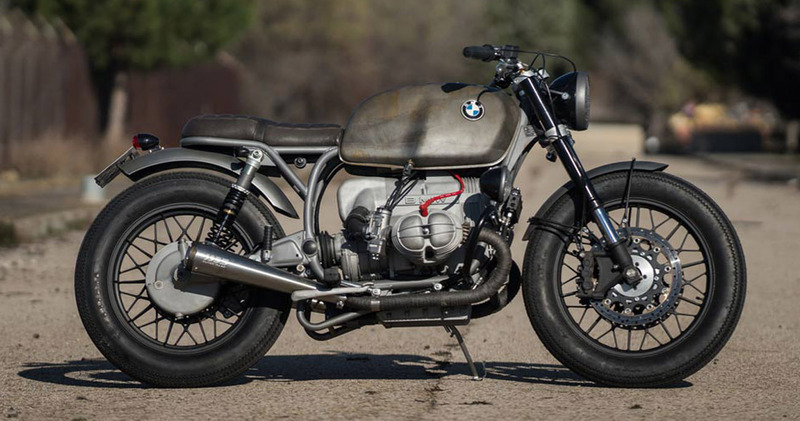 While Cafe Racer Dreams retained the BMW’s bulky fuel tank, they binned the subframe and welded on a smaller, custom-designed one. Sitting on top of it is a svelte new two-up seat. All the lighting’s been replaced, along with a new set of grips and Renthal handlebars. Check out the grill installed over the headlight, and the small auxiliary light mounted on the right crash-bar. 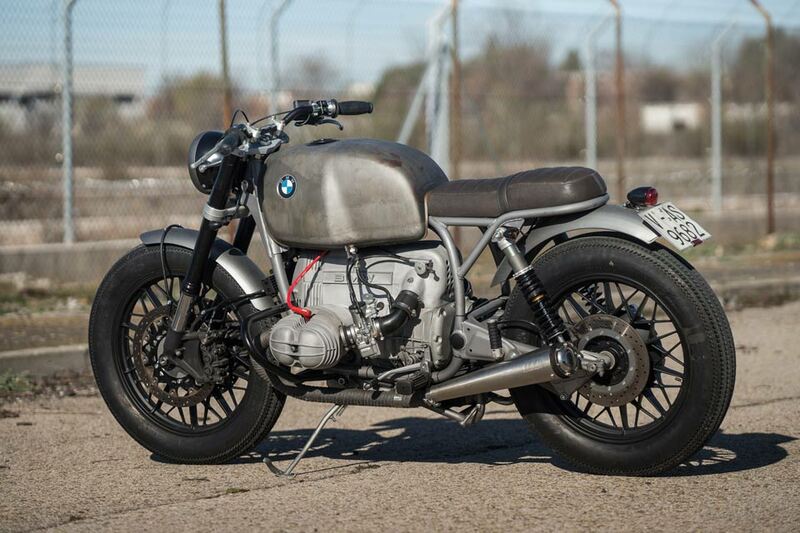 As finishes go, the R 100 is delightfully industrial. Using “water and the Madrid sun,” Cafe Racer dreams rusted the fuel tank and then applied an anti-rust coating inside—and a clear lacquer outside. The engine’s been blasted clean, the frame powder-coated grey and the wheels finished in black. It’s a satisfying fusion of good design and technical expertise, as you’d expect from a workshop on its 54th build. Bike Exif wrote this article about CRD17 Cafe Racer.